Today, Rhapsody announced that its recent partnership with T-Mobile has boosted its subscriber base to 2 million paying subscribers. That’s up from the 1.7 million it had in April. 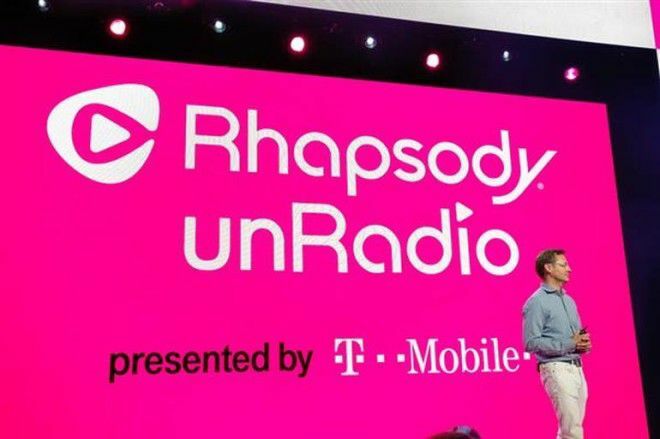 In its most recent Uncarrier announcement, T-Mobile unveiled a service it launched in partnership with Rhapsody International. Highest tier Simple Choice customers get the service included in their plan, while others get it for a discounted $4 per month (down from $5/m). The launch didn’t come without controversy however, as customers on the older $70 Simple Choice plan felt let down that T-Mobile didn’t let them have the same free unRadio subscription as the $80 plan subs. And that’s not all, T-Mo’s come under criticism from fierce supporters of the Net Neutrality movement who claim T-Mobile’s decision to allow customers to have free music streaming on all Simple Choice plans goes against the essence of what they’re fighting for. The same could almost be said of the decision to discount any data used by performing speed tests with popular apps like Ookla and Sensorly’s. And while T-Mo’s partnership with Rhapsody is certainly having a positive impact on the music streaming company, we’re yet to find out how much the Uncarrier 6.0 announcements have benefited T-Mobile. We’ll get some indication during the earnings call on Thursday, but won’t get a full picture until Q3 is over and the latest phase of Uncarrier has an entire quarter under its belt. Anyone using Rhapsody? I was curious how it compared to Pandora? It is cheaper, Just curious of the quality of music. Stick with Pandora it’s much better than rhapsody in music selection. I don’t know about that… I am a BMW Owner and it’s “Connected Services” in it cars will have Rhapsody, not Pandora. Plus, being a Tmo Customer I basically can stream to my hearts content in my car without worry of data overages or counts again my high speed data usage! It is Pandora who needs to step up it’s game in the “Connected Services” Department! I rent numerous cars each month for work and have to say I’ve had Pandora on every one that offered bluetooth connected applications. I’ve been using Rhapsody for years and love it. Although I don’t stream music, but download content to my phone’s/mp3 players to make my own playlists. I prefer iheartradiao over pandora because you don’t have to register to use it and they have some local stations as well. It all depends on want you want. Rhapsody has more music in their collection than Pandora. If you’re looking for more features than just a radio station, Rhapsody is more for you. If you want Rhapsody, then also check out Spotify. They both have free trials so you can see what fits you better. Rhapsody streams 320kbps. Maybe Google Play isn’t as popular as you think. Google All Access was in the top five most popular according to a survey I saw recently. Pandora and Spotify were in the top IIRC and Rhapsody was actually below Google All Access. That’s probably changed since the T-Mobile announcement though. Still irritated that Google All Access isn’t included. Legere put a graphic on the blog that said the most popular streaming services are included in the data. It’s a lie. Google All Access is one of the most popular services and it’s not included. Time to fix that, T-Mo! T-Mobile could have just raised their throttled rate from 60kbps to 260kbps and called it good. It’s already been raised to 128Kbps for users of Simple Choice. Heck, I’ve seen 192-200Kbps some places for domestic data roaming on AT&T. Hell, why not just buy my own cellphone company? violating net neutrality will do that for ya.